We represent supervisors through credible advocacy that is backed by sound research. GPSA is open to partnering with relevant health sector policy makers and representatives on research that can give new insights into the GP training climate and the contribution that supervisors make to it. 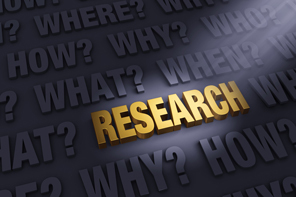 Please contact ceo@gpsupervisorsaustralia.org.au if you wish to discuss a potential research proposal. COMPLETED RESEARCH STUDY – Supervising GP registrars – who does and doesn’t participate and why? General Practice Training Tasmania (GPTT) in partnership with General Practice Supervisors Australia (GPSA) and Monash University invited 25 GPs to participate in a study designed to better understand the reasons why general practitioners (GPs) do or don’t supervise GP Registrars in rural areas of Tasmania and why. This study is the ﬁrst systematic analysis of GPs participating in registrar supervision and what underpins their decision to participate. This project will help to understand Tasmania’s current and future GP supervisor workforce training support needs locally and nationally to ensure there are enough GP Supervisors to meet training demand within the AGPT program into the future. We had an overwhelmingly positive response from Tasmanian GPs about their experiences supervising GP registrars. Apart from what we have found from the MABEL data, GPs are telling us much more about supervision within the context of rural general practice, how much they value registrars, and some of the challenges at a community, personal and practice level for enabling positive supervision. The strong message is that GP registrars are a very positive group to have around in the practice, and rural GPs value the additional workforce they bring to the practice. Rural GP Supervisors identified the increased capacity realized with GP registrars helped to deliver additional services and support to rural patients critical to increasing primary care access in communities with limited health services. GP supervisors interviewed also identified the chance to teach (building the next generation) and share learning about general practice in rural communities as real strengths of participating in the AGPT program. This project is now complete. Download the final communique here, summary findings can be downloaded here. This project is now complete and the tool is available on our website. Click here to access. The project set out to adapt and validate a tool to measure the educational alliance from the GP Supervisor’s perspective. The relationship between a registrar and his or her supervisor has been suggested as the platform for all other aspects of learning and the concept of the educational alliance is a central component of this relationship. The result is the GP-Supervisory Relationship Measure for Supervisors (GP-SRMS) which is now validated for use in the AGPT program and the Australian general practice sector. It is understood that this is a world-first. The project was conducted by General Practice Training Tasmania (GPTT) in partnership with General Practice Supervisors Australia (GPSA) and Monash University. A complementary tool – the GP Supervisory Relationship Measure for Registrars has also now been adapted and validated (see below). GPEx, in partnership with General Practice Training Tasmania (GPTT), General Practice Supervisors Australia (GPSA), and Monash University have completed their education research project funded through the Royal Australian College of General Practitioners (RACGP) and the Australian Department of Health (DOH). The research grant was awarded for a project that aimed to measure the educational alliance between a GP Supervisor and a GP Registrar from the perspective of the GP Registrar. Following on from the successful work of GPTT, GPSA and Monash University to develop the GP Supervisory Relationship Measure for Supervisors (GP-SRMS), the GP Supervisory Relationship Measure for Registrars (GP-SRMR) project has successfully adapted and validated a complementary tool to explore the relationship from the registrar’s perspective. Using computer adaptive testing the number of questions in both the GP-SRMS and GP-SRMR can be reduced substantially whilst still maintaining their validity and reliability. Representatives of the project partners conducted a consultation with Registrar Liaison Officers (RLOs) at their national conference in August 2018 to gain registrar feedback on how the GP-SRMR and the GP-SRMS might best be used in practise.